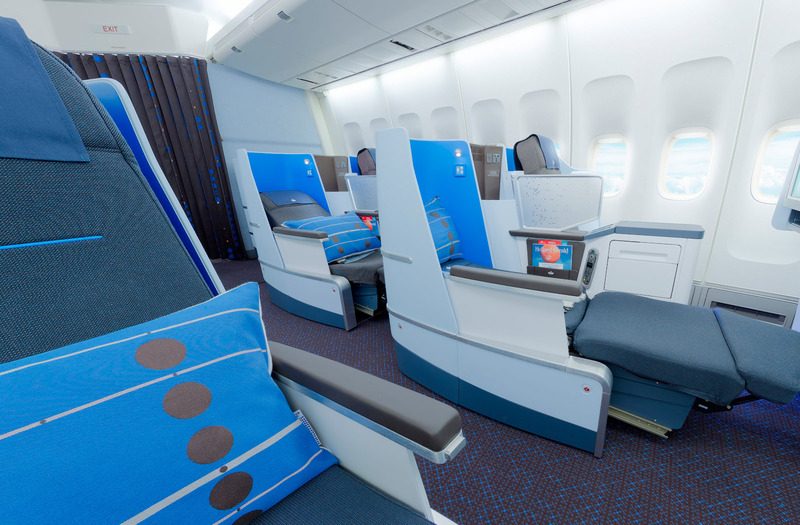 KLM, the Dutch national airline, has launched its new World Business Class. This enhanced class being introduced as the fleet is upgraded has a bigger dedicated space, complete with its first lie-flat seats. There are fewer seats, giving passengers much more room, seats come with privacy canopies and 17” screens, and a very sweet sustainability story is that the carpets are all made from recycled materials, including old KLM stewardess uniforms! What better way to show customers and prospects the benefits of the new World Business Class than to put them into the seat and let them explore it in their own time. Eye Revolution created a high definition 360 degree virtual tour from the seat itself for use in advertising on the WeChat app. It was a great delight to work with the brand & marketing teams, whose pride and genuine enthusiasm for their aircraft and the KLM new World Business Class cabin was utterly infectious. There were two 360’s captured for this project, business and economy.